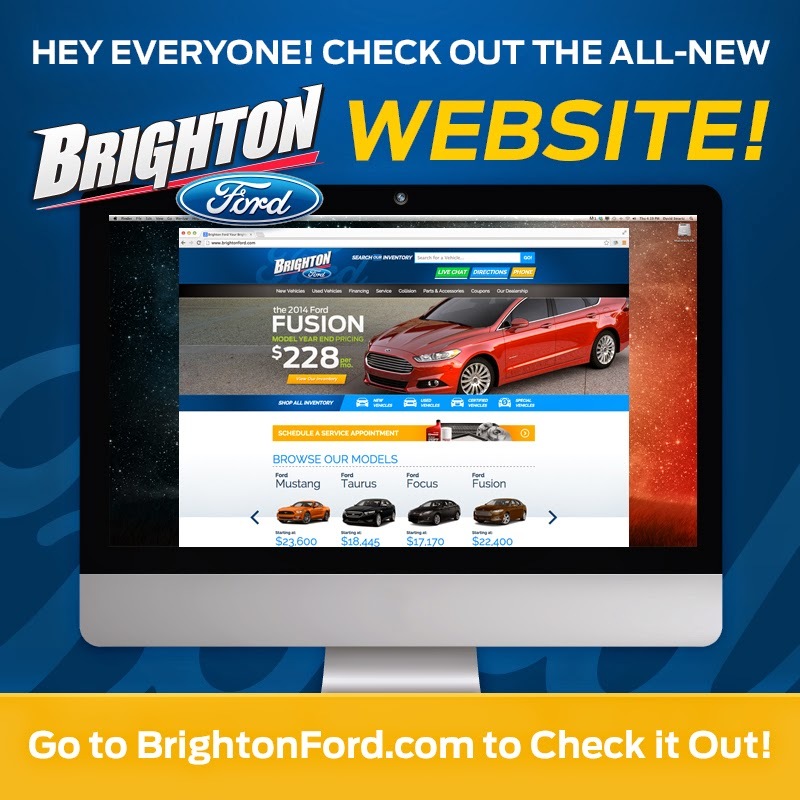 Brighton Ford : Newly Designed BrightonFord.com is LIVE! BRIGHTON, Mich - We are absolutely THRILLED to announce that the newly designed BrightonFord.com is LIVE! At Brighton Ford we are always looking to improve the entire car buying experience from start to finish. This is exactly why we have completely renovated our website - so we can make it easier for our customers to research, compare, and purchase a new vehicle! The new BrightonFord.com provides our customers with all of the information they could possible need when it comes to shopping for a vehicle. You can search for a new or used vehicle, learn about financing, or even make a service appointment all from the comfort of your own home. No matter what your automotive needs are, BrightonFord.com is there to help. If there is a question that our new website cannot answer, we are always available by phone at (800) 836-8206. The newly designed BrightonFord.com is LIVE and ready to help you search for your next vehicle! Brighton Ford is located at 8240 Grand River Ave. just north of I-96 in Brighton. We are a family owned and operated business that strives for customer satisfaction. For more information on Brighton Ford visit BrightonFord.com or give us a call at (800) 836-7417.